There is something missing. Most people I talk to have more questions than answers when it comes to the web, what software & services to use, and which professionals to hire. 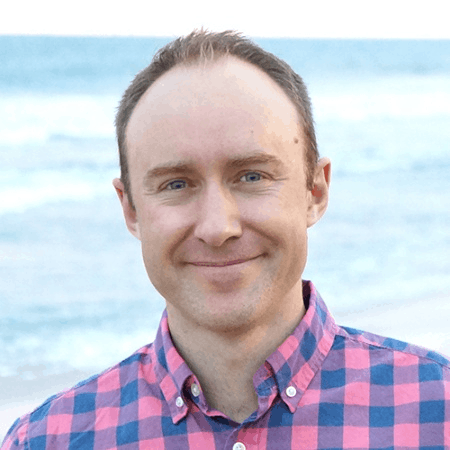 Hi, my name is Ben Kamp and I started Bisvi with a vision to give small and medium businesses a place to get answers and digital guidance – not services. I started as a web designer and programmer in 1998 and since then have worked with hundreds of small and medium sized businesses. I’ve both worked 1-on-1 with hundreds of business owners and I’ve worked as a consultant and advisor for multiple web and advertising agencies – serving possibly thousands of businesses. I’ve seen the challenges that business owners and leaders face. Technology is increasingly required to compete in productivity, marketing, communication, and administration. The complexity of it means a lot of the actual “leadership” is handed to outsourced consultants or the IT department. The problem is that then your digital strategy is not being formed by your future goals, but by whatever software/technology your IT or web professional is currently using. Bisvi was forged out of these experiences – to empower business owners and leadership with technology, digital strategy and web advisory that align with their future vision and goals. Our On-Demand and Express CTO services are a mix of automation, AI, and human insight. Other than our free virtual CTO service, nothing is fully automated. We personally examine every business we work with, but are able to make that process quicker and more affordable by a powerful software. The result is the vision we set out to create – Digital leadership, on-demand CTO services that are designed for and priced for small and medium business. A CTO is a Chief Technology Officer. It’s digital leadership for your company, answering the “what” and “how” of using the web to grow and lead your company to your goals. Digital Marketing & Web Advisory is our express advisory service for newer companies. It’s similar to On-Demand CTO, but is a one-time service as opposed to a custom partnership. Learn More. About Our on-Demand CTO & Advisory Services. Who we are is the sum of where we’ve been. You could call it a portfolio, but really it’s a quick glimpse over the many different formats that our team has worked with. It’s where we’ve grown and learned the art of what we do now. On-Demand CTO, Web Advisor, Executive Coach. I used to be a full-stack web developer and digital marketing specialist. My clients were mostly web and advertising agencies. But now I’m turning my focus to you. Not with development services, but with a new breed of digital leadership, advisory, and education. Because in an increasingly digital world, we don’t need more – we need less.